* A completely new & improved liner from our old 839 (different hair and different handle-additional sizes). * Our new 839 is much softer than our 838 outliner & will carry more paint. 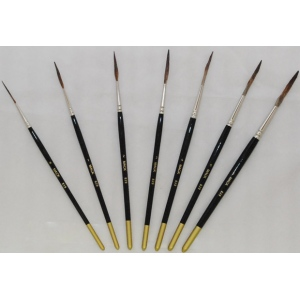 * This brush is used for Outlining Letters, for Scroll Work, and Applicable Sign Work. * The series 839 is suitable for most surfaces. * It has a round Ferrule & graduated hair lengths.